It’s gift giving time and you’ve made up your list or it's someone's birthday and you need some idea of what best gift to buy. It's probably a gift for someone that's special or important to you but you don't know what he or she will love. There must be a couple of kind of people (or so) that you are never sure what to get them, like your interior design consultant, colleague, interior designer spouse, a house-proud friend, a family member that's a decorator, or even yourself if you are in a similar profession. Don’t think because these creative geniuses are choosy and have a sharp eye for details means they won’t appreciate simple but unique things that won’t cost you more than $200. As long as the gift is unusual, different, and has a creative touch, it is certain they'll love your specially chosen gift. If you need some gift ideas of special presents you can give an interior designer for a celebration, a holiday, or a ‘thank you gift for a job well done’, here are a few that even I, as an interior designer, will love to have. 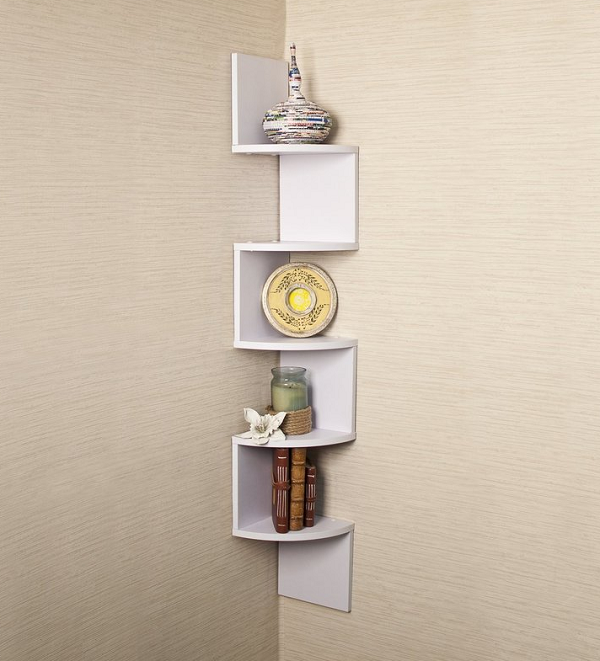 An ideal accent for any interior space, this decorative corner shelf is great to display decor items, photos, awards, tiny potted plants, videos and CD's, and more. Coming in white, grey, brown, and black, this stylish but simple Laminated Corner Wall Mount Shelf will make a great gift and can be installed on any corner wall of the home. Its modern clean lines will fit into almost any interior decor style. 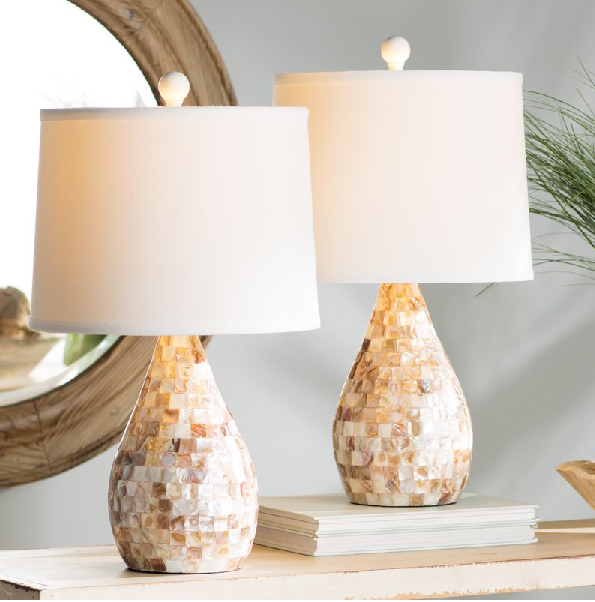 Any interior designer will certainly find a place in her home to use these Mother of Pearl Inlay Lamps. She will proudly display these beautiful pear-shaped pairs of table lamps (yes! 2 table lamps). The table lamps reflect light from its bulb, creating a beautiful shimmer that'll give a warm and inviting ambience in whichever room the gift recipient places these lamps in. An industrial style adjustable desk lamp (can also be used as a side table lamp) comes in an oil-rubbed bronze finish. It features a pulley-style design. 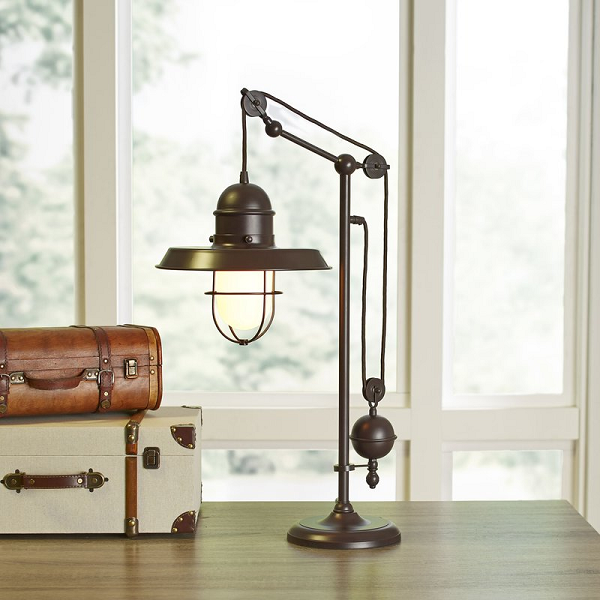 Still, on lamps, this exotic Robertson desk lamp is so vintage-inspired with an industrial flair. I must say it is a showpiece on its own, worthy to be called a conversation piece. This brilliant gift idea for any home decorator will light up any desk with style. Durable and sturdy, this storage chair/ottoman is a dream choice of gift for those who love the unusual. Its signature neutral print also makes it a classic. 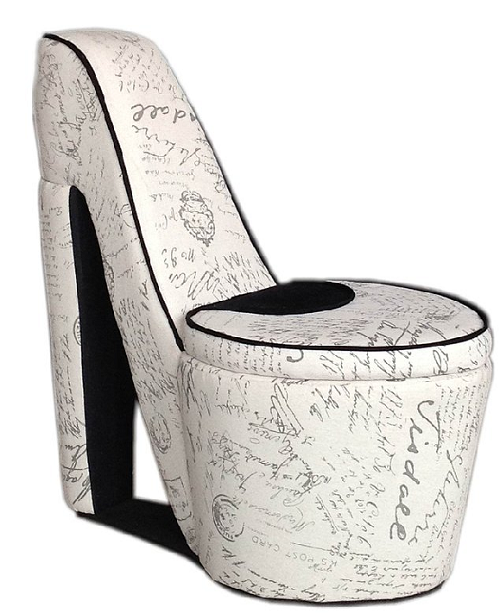 The high heel storage chair is an unusual piece that will fit in will fit perfectly in any living room style and decor. With its classic motif print, it serves as an ottoman, side chair, and functions as a storage unit as well. A modern version of an antique style wall clock that will serve more as a decorative centrepiece in virtually any room in the house than as a piece that just tells the time. Crafted to resemble an antique pocket watch. The Laurent oval wall clock tells more than just the time. It also serves as a decorative piece of art that will go very well with both modern and traditional style of interiors. This out-of-the-ordinary gift idea has a romantic appeal with its 'aged' face, Roman numeral numbering, and the classic French handwriting. 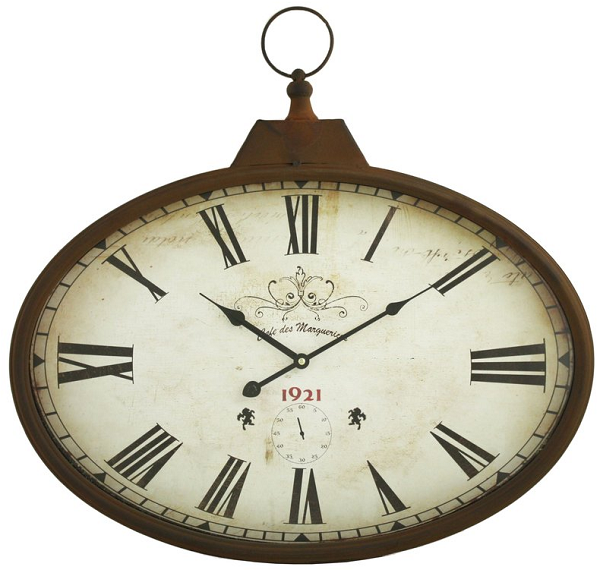 A great gift for antique and vintage enthusiasts. 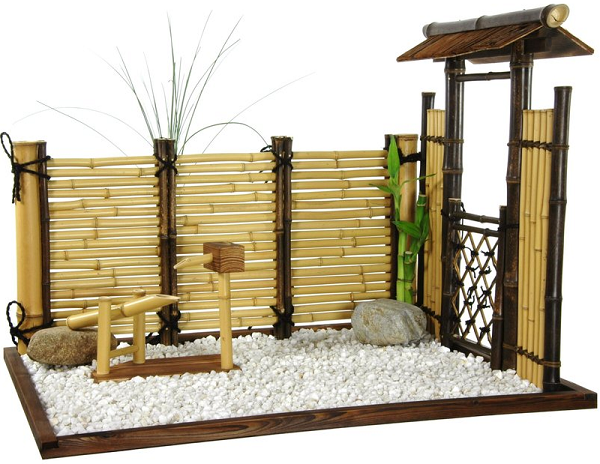 The indoor Zen bamboo garden is a tabletop decor item that stands at over two feet wide and about two feet tall. An authentic oriental decor, it brings a sense of tranquillity into any interior space. You can add your own bamboo plants and display the item on an accent table or a special display stand. Figurines, sculptures, and other tabletop decorations like the Zen Mini Garden, Greek Spartan Helmet Sculpture, and Spiral Stairs Sculpture are smart accent décor. Every interior designer knows that using some of these smaller but statement touches help to set the stage for the entire design concept of any room in the entire house. This tabletop water fountain will bring elegance and tranquillity to any designer's home. 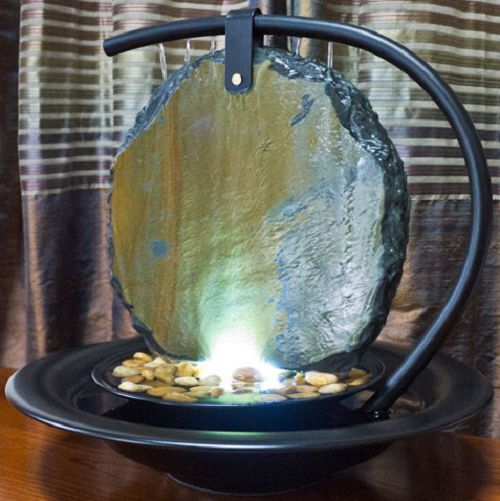 Its slate stone attachment, halogen accent light, and polished river rocks draw extra attention to this beautiful water feature. The Moonshadow Tabletop Fountain is a handcrafted water feature that's small enough to fit on any table surface but still large enough to attract the attention of a selective eye. The soothing sounds of flowing water will certainly relax and captivate anyone in the room. Floor vase that's uniquely structured with raw teak wood. A great gift for interior designers that have an eye for the unusual and exotic. 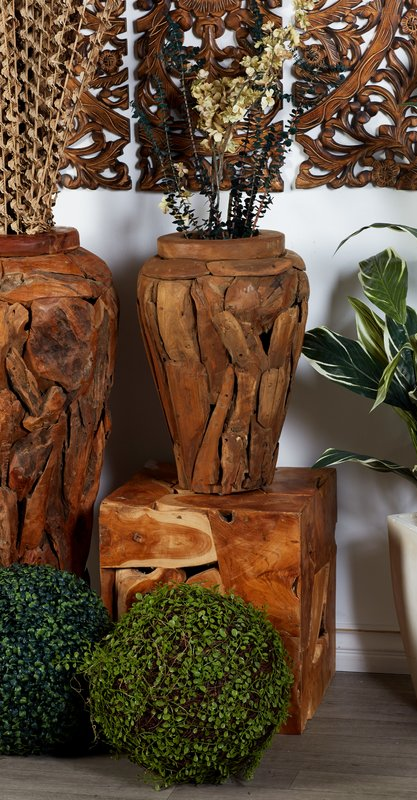 One great gift idea that's rustic and organic inspired is the natural Teak Wood Floor Vase stylishly created with teak tree burls (the hard woody protuberance that forms on tree trunks or branches) and structured into a unique urn shaped form. I have always loved the twisted wood grain found in most burls. Burls are highly valued and sought after by artists, furniture makers, and sculptors. A stylist accent table with an iron triangular prism frame and an inverted-pyramid-shaped top made of mixed ash tree wood, pear wood and high density board. This piece is a modern and stylish table that will fit into any contemporary interior decor style. 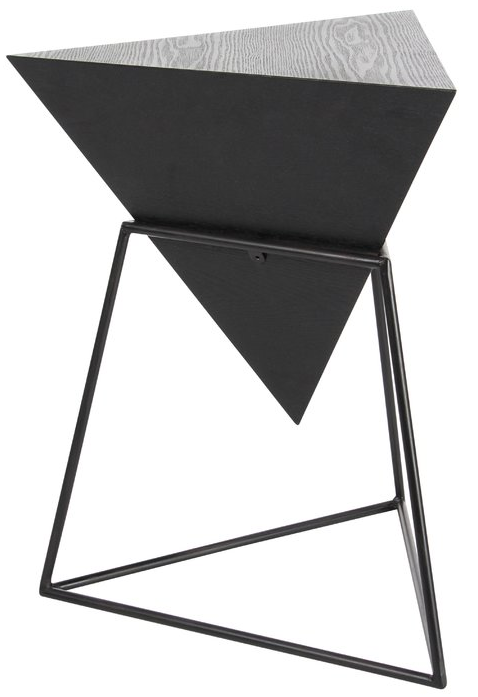 The wood and metal combo Triangle End Table is made of an iron triangular prism frame with a pyramid-shaped wood surface. This delightful gift idea will be a must-have for most interior designers.